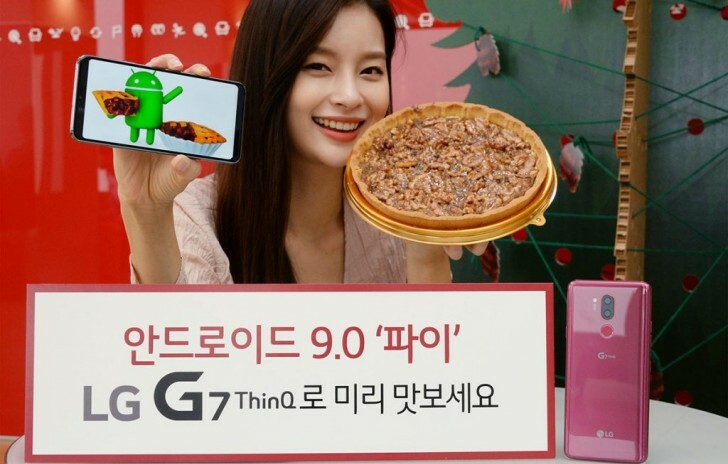 Today, LG opened its LG OS Preview for LG G7 ThinQ users in the brands home region of South Korea which could signal that the phone maker is gearing up to push the Android Pie update in the coming weeks. Note that this update is different from the Pie update that rolled out on the Android One edition of the phone, which doens’t have LG-branded software. LG wasnt ever the best at providing quick updates for major Android releases. Todays news does show that LG is acting a bit quicker to update its previous devices. by contrast, last year it took until the very end of December for LG to start testing an Oreo update for the LG G6 before a Beta was even available to users. Users in Korea can sign up for the Preview by going into the Quick Help app and finding the LG OS preview banner. New changes include a new Gesture Home Button, new battery saving feature, new adaptive brightness will learn your preferred brightness setting (kind of how Samsung does it). Theres also a new preview when you take a screenshot and you can press and hold the power button to lock the phone. LG hasnt offered a Beta program like this in the US so we probably wont see Pie on the G7 until the final firmware is complete. We expect that LG is going to release the final Pie update sometime later in December or early next year. Hopefully well get to see a changelog in English before then (the changes noted above were roughly translated from Korean).